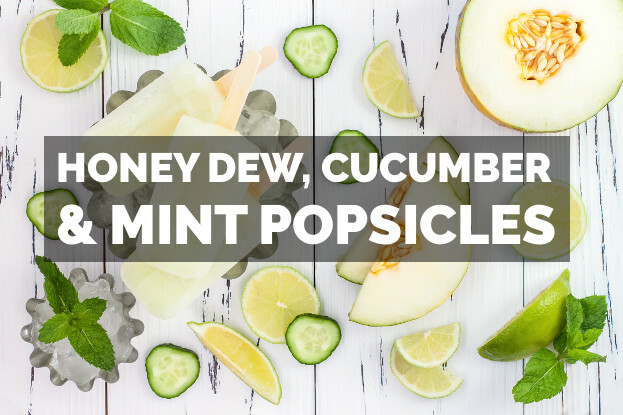 How Can Honey Dew, Cucumber & Mint Popsicles Make You Feel Great? Ever hear the phrase, "cool as a cucumber"? Honeydew and cucumber cool your blood and offer a refreshing reprieve from the heat. As it cools, cucumber also detoxifies your blood and relieves stress. Summer heat makes your heart beat fast & heavy. With so much overheated blood, you'll notice the tip of your tongue turns red. The excessive blood flow aggravates your liver, and could cause your temper to flare. Honeydew and cucumber refresh your body in summertime. They cool your blood, soothe your liver and calm your temper. Mint is a perky addition that cools you down by helping you perspire.